This post covers what happened in Decred in the month of November. It is the 8th issue of the Decred Journal. 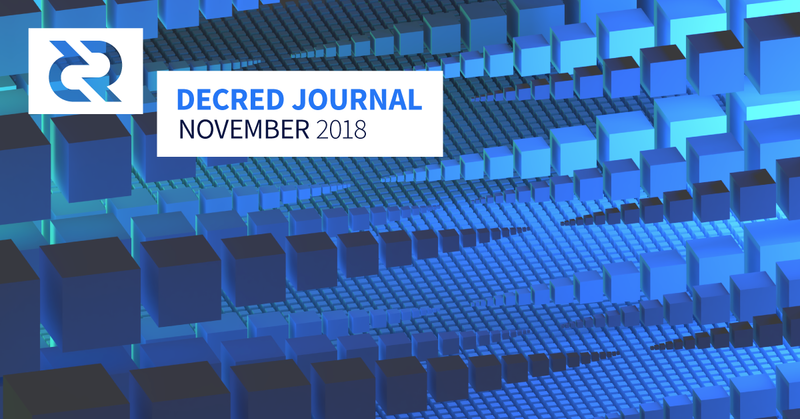 What is your opinion on Decred Journal - November 2018 ?